Powerwrap has announced the appointment of a senior manager at AMP in a build up to their listing on the ASX. 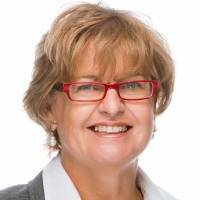 Donna Hardman is the founder and chief executive of Quadrant 2 Consulting and joins Powerwrap as a non-executive director to its board. Ms Hardman in her capacity at Quadrant 2 Consulting advised clients such as NABtrade and a number of banks on a range of business transformation projects and organisational transformations. Ms Hard also previously held the roles of Australasian head of operations and executive strategist at AMP Bank and head of SMSF strategy and implementation at AMP. She currently sits on the Board of ASX-listed company Villa World where she serves as non-executive director among other roles and is also a consultant to the Australian Department of Foreign Affairs and Trade. Powerwrap chair Anthony Wamsteker said that Ms Hardman brought extensive experience in technology and financial services to the team. “The Australian wealth management landscape is undergoing significant change. With her experience in wealth management and technology-based transformation, and her ASX-listed company board experience, Donna is well placed to advise and support Powerwrap on business transformation and technology in the platform space,” he said.